GatsbyLifestyle: Matching Timepiece and Footwear. "I often read your advice and find it very useful. I wanted to ask your feelings on if a watch strap, leather belt and shoes should be matched when wearing an outfit. For example, should a black watch strap only be worn with a black belt and black leather shoes?" You would be surprised how often I am asked this ­- it is a real sign that many modern men now own more than one watch. And quite right, too. 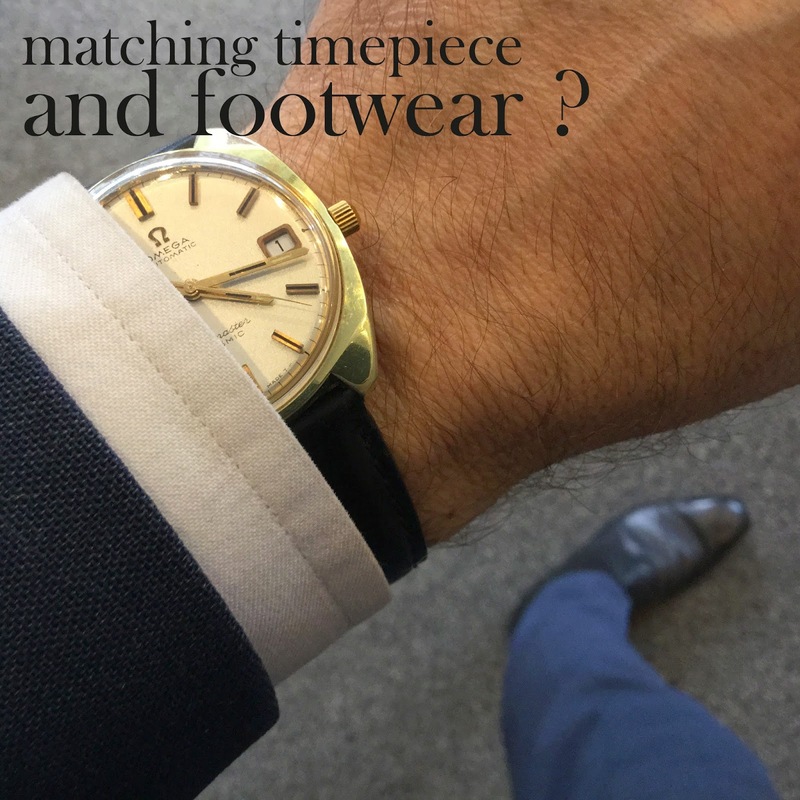 However, it has been suggested to me - by a friend on Savile Row - that if you have a gold watch you should wear gold cufflinks, and silver with steel. This led to a discussion about whether one should only wear gold watches if sporting a signet or wedding ring (both on the left hand) but we agreed that as a ring is symbolic it doesn't count. Phew. FYI my wedding ring is silver so..... Silver or gold watches can be sent as Christmas presents this year.